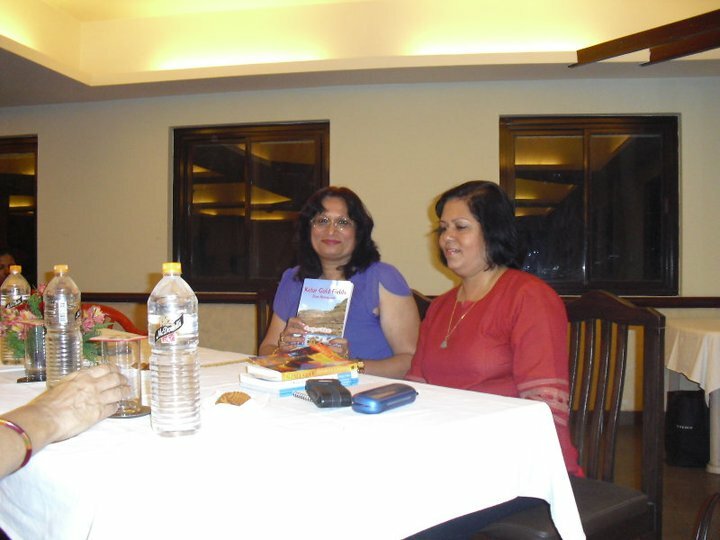 Had a very interesting and enjoyable evening as the guest author at the ibrowse Book club meeting at the Catholic Club. Thanks to Marianne for inviting me. I was very happy meeting all the members and especially Jacky Colaco and her Clan. The interaction on Lavelle Road and Oorgaum house in particular was very interesting and enlighte...ning. Jacky's grand parents Mr and Mrs P G D'souza bought Oorgaum house from Mr M F Lavelle, the first prospector for gold in KGF in the early 1900's. Mr. Michael F.Lavelle was the first prospector for gold in the KGF Region in the 1850s. 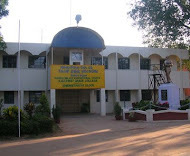 He later sold off his Mining License to the Kolar Concessionaires Soft Corporation and he returned to his residence at Bangalore Cantonment. His successful achievements in gold mining in Kolar and his subsequent affluence made him very popular among the English Residents at Bangalore. The British Commandant of the Bangalore Cantonment honoured him by naming the road where he lived as ‘Lavelle Road’. He also renamed his house as “Oorgaum House” after his first shaft that he sank in Urigaum, KGF as a reminder of his good fortune. Lavelle Road is still in existence even today. However, many residents of Bangalore in general and Lavelle Road in particular, are unaware of the interesting history of Lavelle Road!!! Just like KGF, the history of Lavelle Road will one day sink into oblivion. Mr. and Mrs P G D'souza bought Oorgaum house from Mr M F Lavelle, in the early 1900's. The whole property of 3 acres was later divided among the 17 children of Mr and Mrs P G D'souza and the place is known as D'souza Layout. The apartments built on the property is named Oorgaum house. In 1850, an Irish Soldier, named Michael F. Lavelle, from Bangalore Cantonment, who had recently retired from the British Army, heard about these native mines in a place named Kolar some distance from Bangalore. Michael F. Lavelle had served in the regiment that fought against Tippu Sultan in Srirangapatnam, near Mysore. Since he had nothing better to do, as he had retired from active military duty, he decided to explore the Kolar region and see for himself if the information was true. It is said that he traveled by Bullock Cart from his residence in Bangalore Cantonment to the present day KGF. He was accompanied by his trusted Man Friday. It took him almost a fortnight to traverse the distance of around 60 miles to KGF. When he reached the place, he was pleasantly surprised to see that the rumours were indeed true. He found old mining equipment and abandoned pits that went down several feet all over the area. 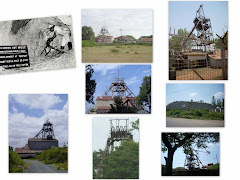 He explored the entire area thoroughly with the help of the local people and acquainted himself with the workings in the abandoned mining pits. 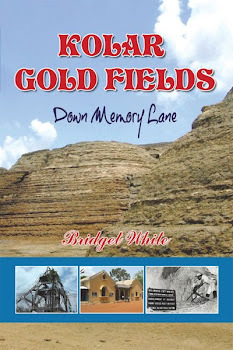 He was now fully convinced that the place was a Gold Mine (no pun intended) and that he could make his fortune in this place. He decided therefore to hunt for gold and other precious metals himself. Accordingly, he applied to the Mysore British Government and obtained exclusive prospecting rights from them for mining coal and other metals in 1873 for a period of 20 years. He began mining operations by sinking his first shaft near Urigaum (Oorgaum). However, even though Mr. M F Lavelle, was successful in mining a little amount of gold, he did not strike as much gold as he had anticipated. He also didn’t have enough money to mine intensively. He then cleverly decided to sell his mining rights for a good sum, as he was the only person who possessed the exclusive rights to mine it. The news spread as he had intended and though many personalities and consortiums contacted him, the offers he received were not up to his expectations. The following year, a small Syndicate known as the Kolar Concessionaires Soft Corporation and Arbuthnot Company of Madras, heard of Mr. Lavelle’s activities and approached him to sell his mining license to them. Mr. Lavelle took this opportunity and negotiated with them, for quite a good amount. After obtaining the approval of the Mysore British Government, he transferred all his rights and concessions to this Syndicate known as the Kolar Concessionaries formed by Major General G. de la Poer Beresford and some of his friends. Mr. Michael F.Lavelle was now a rich man with all the money he got for the sale of his Mining License from the Kolar Concessionaires Soft Corporation and he returned to his residence at Bangalore Cantonment. His successful achievements in gold mining in Kolar and his subsequent affluence made him very popular among the English Residents at Bangalore. The British Commandant of the Bangalore Cantonment honoured him by naming the road where he lived as ‘Lavelle Road’. He also renamed his house as “Oorgaum House” after his first shaft that he sank in Urigaum, KGF as a reminder of his good fortune. Lavelle Road is still in existence even today. However, many residents of Bangalore in general and Lavelle Road in particular, are unaware of the interesting history of Lavelle Road!!! Just like KGF, the history of Lavelle Road will one day sink into oblivion. I was very interested to read this article as I'm tracing Michael Lavelles' family history. If anyone has any further information on the Lavelle family I would be very interested to hear it. Hello. It is possible that MF Lavelle is my great-great-grandfather. If my guess is right then his son was David (John?) Lavelle (Bengal rail engineer), father of Ella Lavelle (b. 1891) who lived in Darjeeling and Nainital and married Ivor Matthews and lived in Columbo and retired to Chiddingfold. Ella's son is my father, Peter (retired in South Africa). Ella had two sisters; one went to Canada and one to England (who may have been Honora Augusta b. 1893). This is a very interesting article. Does anyone know anything about Martin Griffith-Jones who was involved with the gold mines in Oorgaum? My grandmother is Honora Susan Lavelle born in India in 1893, one of three daughters to an Irish engineer working with the Railways. She married a Edwin Cutler a British Soldier in India in 1912, and returned to Britain in 1923. I have vey little information about her life in India apart from the stores she told me when I was young. I would love to learn more about her. My Grandmother was Honora Susan Lavelle who was one of three daughters born in 1893 to an Irish rail engineer. She married Edwin Cutler a British Soldier in 1921 and relocated to Britain in 1923. The following year my father was born. I know very little about her Indian background and would love to know more.